The clocks have gone forward and it’s officially Spring, but you’d never know it given the current weather, and neither does my apple or pear tree! Both are in bud but neither has produced any leaves yet, so I figured I could get away with some late ‘winter’ pruning this week. Conventional wisdom advises pruning when the tree is dormant, between leaf fall and bud burst (late November to early March), so I’m pushing it a bit, but better to do it now than not at all. 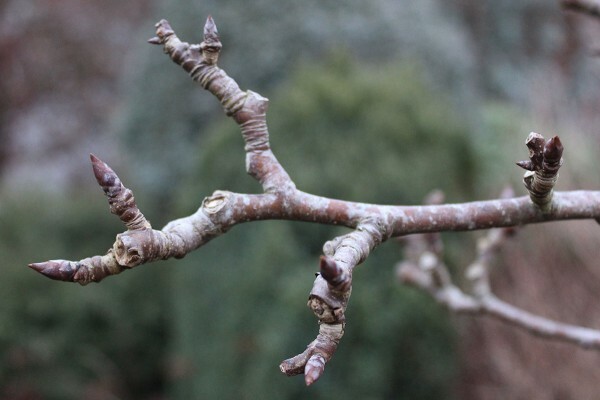 If you’re not used to it, pruning can be a scary concept, especially when you start reading terms such as renewal pruning and spur bearers, so I’ve condensed it down to 5 easy-to-remember rules. Remove any dead, damaged or diseased branches. Remove any branches that are crossing or rubbing against each other. Remove any branches that are heading for the centre of the tree. Shorten the previous year’s growth on each main branch by about a third. Remove any young lateral branches that are causing overcrowding. 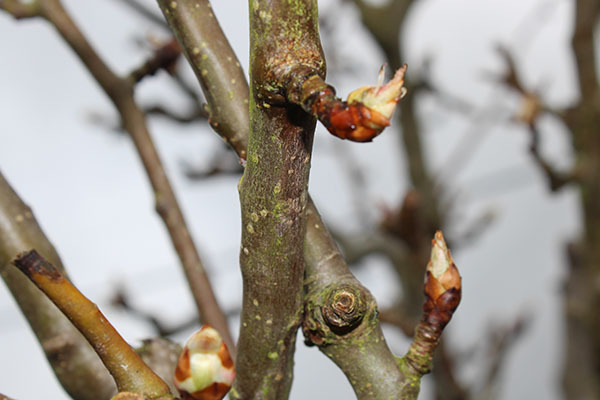 Use a sharp pruning saw or secateurs and cut just above a bud that is facing in the required direction (ideally you want your tree to keep branching outwards to avoid congestion in the middle). Above all, prune the tree to the size and shape that fits your garden. It’s no good having a heavy cropping apple tree if it casts a shade over everything else you want to grow. I’ve had to hack a fair bit off my pear tree this year, as it was getting top heavy and leaning over the drive. I probably won’t get as many pears, but people will be able to walk to the front door! Follow up with a good mulch and wait for that wonderful explosion of blossom. It’s coming …. honest! !